GEORGETOWN, Guyana, October 11, 2018 – Texila e-journal being the foundation for research works provide a platform for the global researchers to be a part of it by submitting the researches in the chosen area of interest, with its wide exposure, it aims to encourage more research works and keeps on improving Excellence in Education and sharing mind-blowing research ideas. 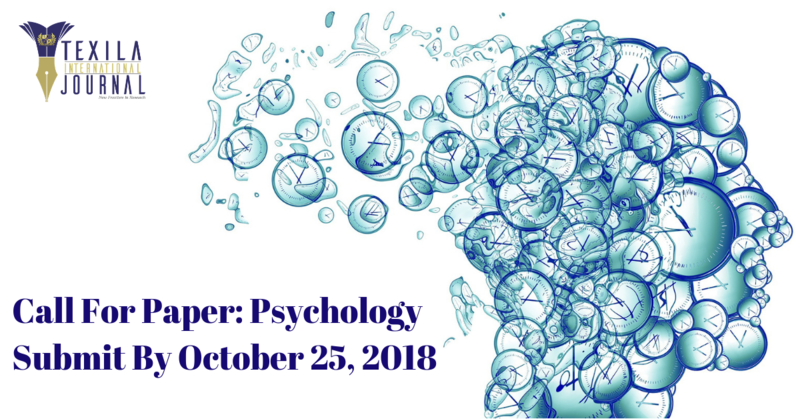 Texila International Journal of Psychology proudly announces the “CALL FOR PAPER” worldwide from Research Scholars from Universities, Faculties, Professionals and individuals who are passionate towards the subject of Psychology. Authors cordially invited to submit papers for the upcoming edition. All Submission must reach the editor latest by 25 October 2018.